Numerology is a language of numbers, letters, and symbols. Without that vision, numerology, astrology, or any other Metaphysical science can't exist. By tapping into the underlying patterns of the universe, numerology helps us understand who we are. It tells us what we are made off; it is a self-help tool, but it also gives us a glimpse of the mystery of the universe, and what it means to be part of it. 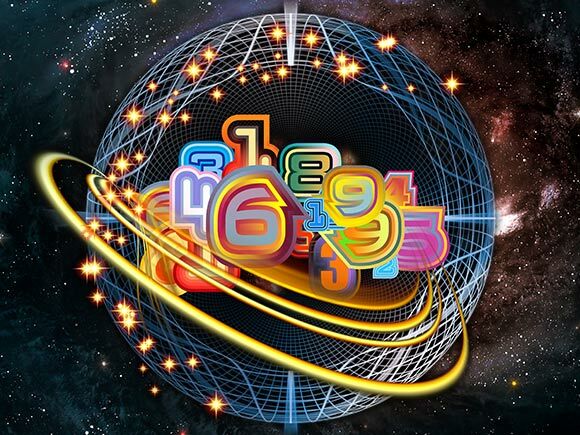 Is Numerology all about math? Numerology only involves simple mathematics. It's more about the personalities of each number, and how each number's traits alter your experiences depending on where they appear in your chart. What answers can Numerology give me? Is Numerology based only on my date of birth? Your Numerology chart is based on your date of birth and the name you were given at birth, but also takes into account the name you use today. Some numbers and cycles in your Numerology chart are derived from your birth date while others come from the letters of your birth name. According to Numerology, the name you were first given is the perfect name for you -- the name you were truly meant to have. Your birth name plays a key role in your personal Numerology chart, but the name you use today affects the persona you're giving off to the world. Should you change your name after marriage or divorce? Is the spelling of your name affecting your fortune in life? Numerology holds the answers. What's my Life Path number? Your Life Path number is the most important number in your Numerology chart! Based on your unique birth date, your Life Path number will be with you throughout your whole life. What's the difference between a Life Path, Expression, Heart's Desire number, etc.? Your Numerology chart is full of numbers that influence all the facets of your personality and phases of your life. While your Life Path, Expression, Heart's Desire and other numbers combine to make up the complete picture of you, each individual number represents a different, specific part of you and your life. It can! Your personal Life Path number reveals the style of your life, thoughts, communication patterns and more. When comparing and contrasting the styles of each Life Path number, some numbers work together quite well -- while others should be avoided. What does it mean when I see the same number everywhere I look? Numbers that recur and repeat in life are Numerology's way of directing you toward information you may be missing or lessons you've yet to learn. Hans Decoz is a prolific Master Numerologist. He is the man behind numerology.com and worldnumerology.com, as well as the creator of the most popular numerology software programs for professionals and enthusiasts. Decoz is also the author of Numerology; Key To Your Inner Self: A Complete Guide to Understanding and Using Your Numbers of Destiny, published by Pedigee and translated in several languages, including Dutch, Russian, Chinese, German, and soon (late 2019) to be released in Japanese.